"Often, you have little choice in what material you teach; the only choice you have is how the material is taught... When a teacher enters the classroom with awareness and genuine caring, students are more likely to do the same." 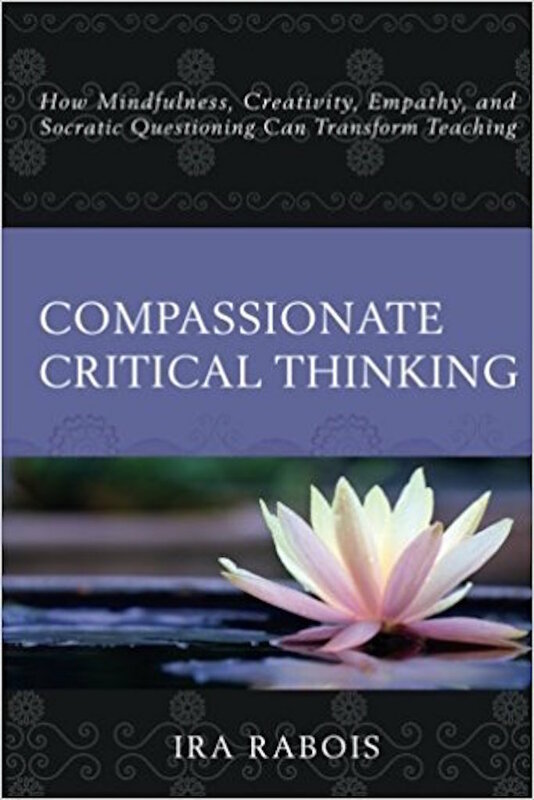 Compassionate Critical Thinking: How Mindfulness, Creativity, Empathy, and Socratic Questioning Can Transform Teaching is based on Ira Rabois' thirty-year career teaching English, philosophy, history, and psychology to high school students. Mindfulness as open, receptive awareness: noticing breath and sensation, feelings, thoughts and images, and what we discern to be true. Concentration: focusing exclusively and pointedly on one object. For example, on an image or on counting breaths. Visualization: progressive relaxation and imaginative journeying. Inquiry: a word or topic for the students to explore (e.g., courage, freedom, love, or power). 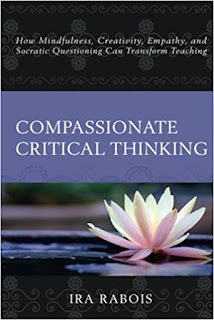 Compassion and Empathy: This allows us to view others and the world more clearly and from different perspectives. Group Dialogue and Questioning: using conversation as an opportunity to practice mindfulness with others as well as to increase attention and develop insight. This combination of practices fosters greater awareness of the students' own lives and how they think and feel. In turn, this deepens the interpersonal connection between teacher and students, and also deepens the students' understanding of academic content and how it is relevant to their lives. For example, lovingkindness meditation leads into a discussion of romantic love and Plato's and Jung's theories about soulmates. In this instructional approach, the teacher's role is to foster a safe, supportive community for youth not only to increase their knowledge but also to develop the wisdom that will help them live a meaningful life. Be sure to check back here at Mindful Teachers on February 18th for an interview with author Ira Rabois. Then, on March 4th, Mr. Rabois will provide a guest post on Mindful Listening in the context of academic discussion and debate.